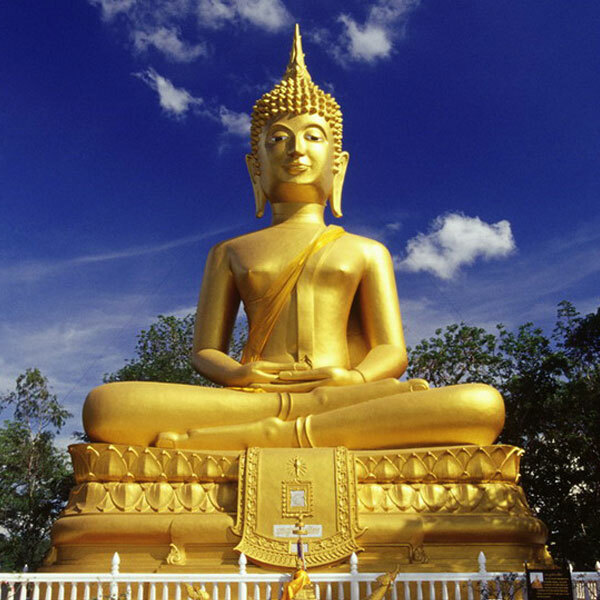 Thai law has a number of special sections concerning religious offense, and these cover not only Buddhism, the religion of the majority of the people, but also any other faiths represented in the Kingdom. It is, for instance unlawful to commit any act, by any means whatever, to an object of a place of religious worship of any community in a manner likely to insult the religion. Similarly, whoever causes any disturbance at an assembly lawfully engaged in the performance of religious worship of religious ceremonies is subject to punishment, as well as "whoever dresses or uses a symbol showing that he is a priest or novice, holy man or clergyman of any religion unlawfully in order to make another person believer he is such person". 1. Dress neatly, Don't go shirless, or in shorts, pants, or other unsuitable attire. If you look at the Thais around you, you'll see the way they would prefer you to be dressed-which, in fact, is probably not very different from the way you'd dress in similar place back home. 2. It's all right to wear shoes while walking around the compound of a Buddhist temple, but not inside the chapel where the principal Buddha image is kept. Don't worry about dirt when you have to take them off; the floors of such places are usually clean. 3. Buddhist priests are forbidden to touch or to be touched by a woman or to accept anything from the hand of one. If a woman has to give anything to monk or novice, she first hands it to a man, who then presents it. Or in case of a woman who wants to present it with her hand, the monk or novice will spread out a piece of saffron robe or handkerchief infront of him, and the woman will lay down the material on the robe which is being held at one end by the monk or novice. 4. All Buddha images, large or small, ruined or not, are regarded as sacred objects. Hence, don't climb up on one to take a photograph or, generally speaking, do anything that might show a lack of respect.